Happy Wednesday! Today you'll find me posting over on the Dies R Us blog. I have a sparkly, monochromatic any occasion card to share with you. I do hope you will check out all the details. Click HERE for the post. Hi there fellow crafters! 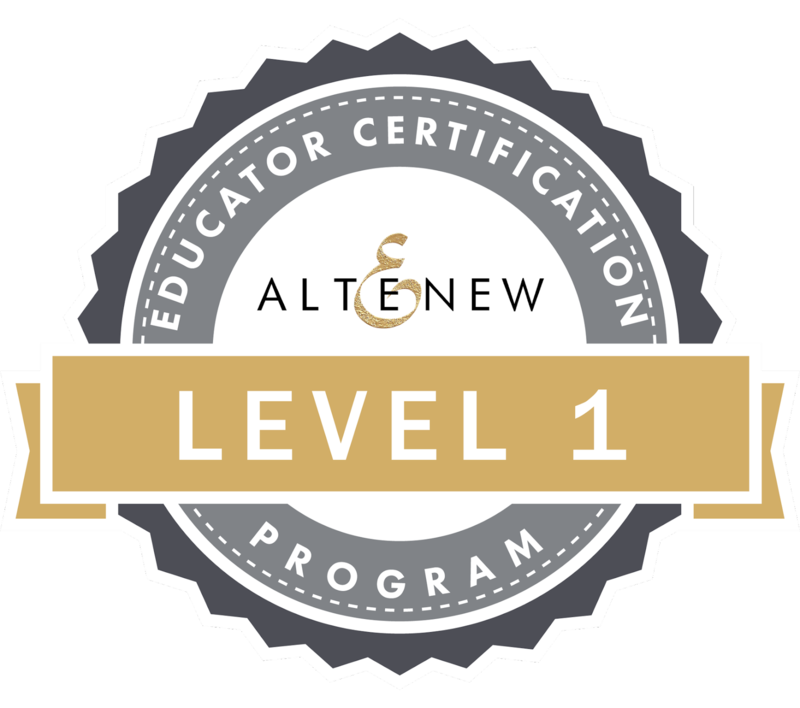 As you all know, I have been working my way through level 1 classes for the Altenew Educator Certification program. Well, now it's time for my challenge level so that I can graduate to level 2. Here it goes! The requirements I was given were fairly straight forward. 2) Create two cards. 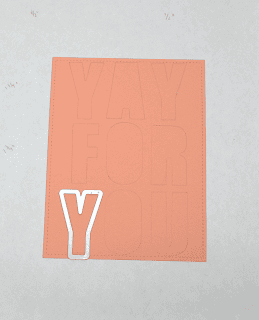 One suitable for a birthday/graduation/encouragement. The other one, something suitable for teenagers or men. Seems simple enough, right?? LOL. I *may* have stressed out a bit but I final got a plan laid out and I felt much better. 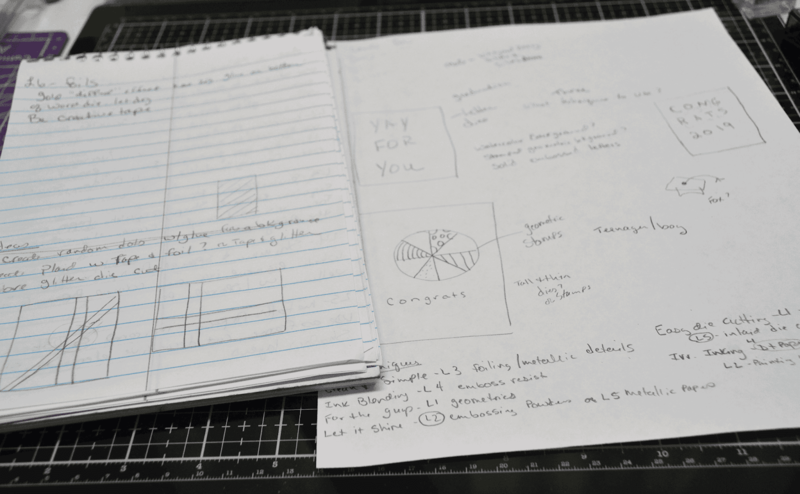 I think the thing that helped me out the most was the notes that I took during each class. Anything that popped out at me or seemed important got written down. Complete with some quick idea sketches if they came to me. I pulled it out and started flipping through it. I went over it until I decided which components appealed to me the most. I will explain them as I go along but I thought you might like to see what my notebook and card plans look like. You'll have to excuse my messy writing! Now that I had a plan, it was on to execution! I started with the masculine card as those are always more of a challenge for me. My components come from Let it Shine, Easy Die Cutting Techniques and Irresistible Inking Techniques. 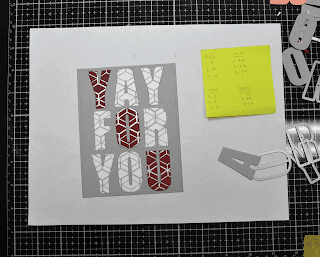 The major component I'm using on both cards is inlaid die cutting. 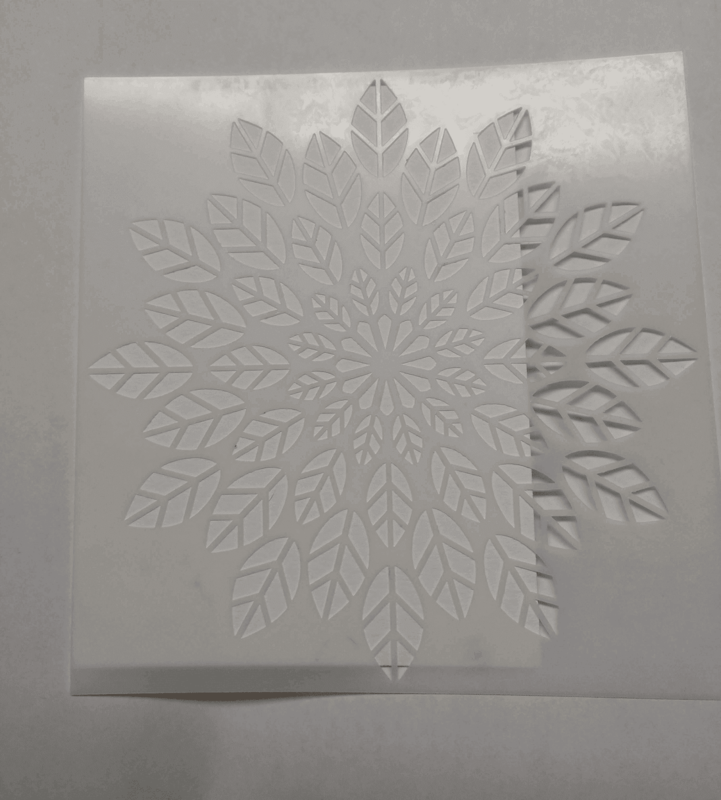 It is one of the techniques shown in the Easy Die Cutting Techniques class. This is the process of cutting a die out of the paper but then putting it back in place. You can put the exact same piece back in OR you can put something totally different in it's place. I chose to put different pieces back instead. Let's see it in action. 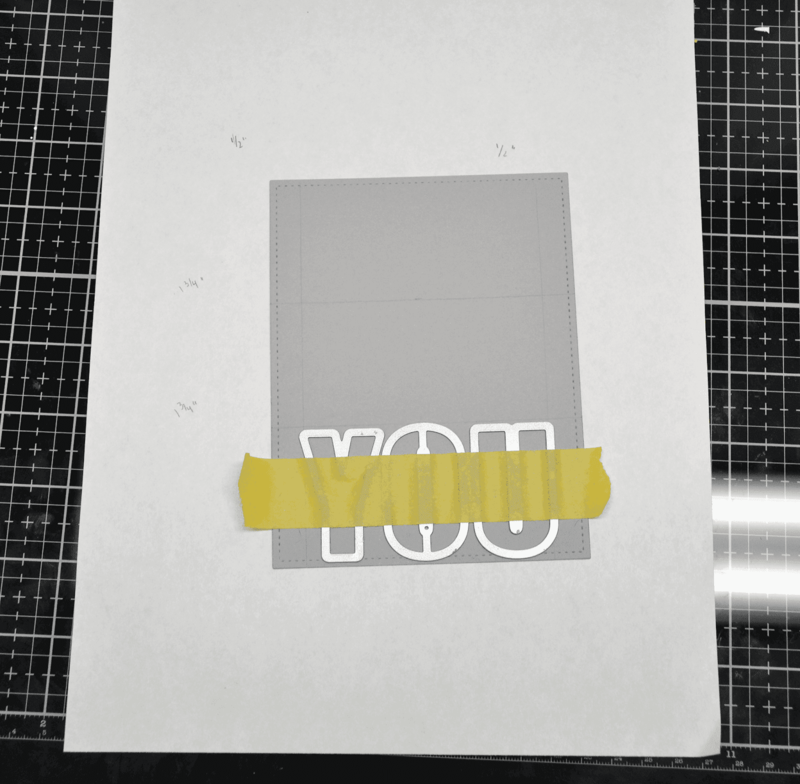 Before I could get to the fun part, I had to do a fair amount of planning, measuring and marking on my card stock. I needed to make sure that my dies were going to be straight across and an even distance from the edge of both sides of the card stock. 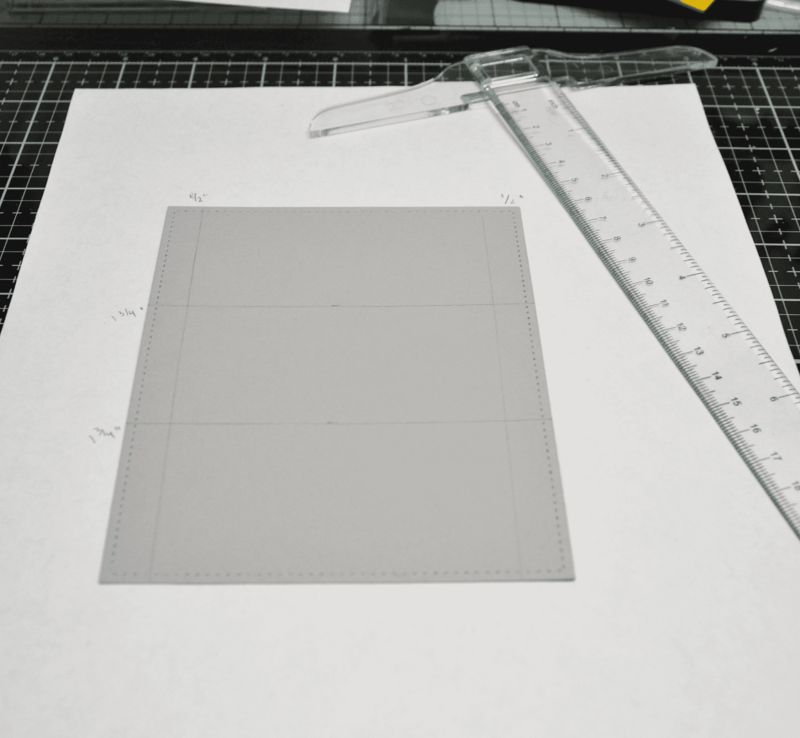 Tip-Keep the lines as light as possible and have a kneadable eraser close by. I find these work the best for erasing my lines easily. Once I had all of my marks in place, I moved on to adding the dies. 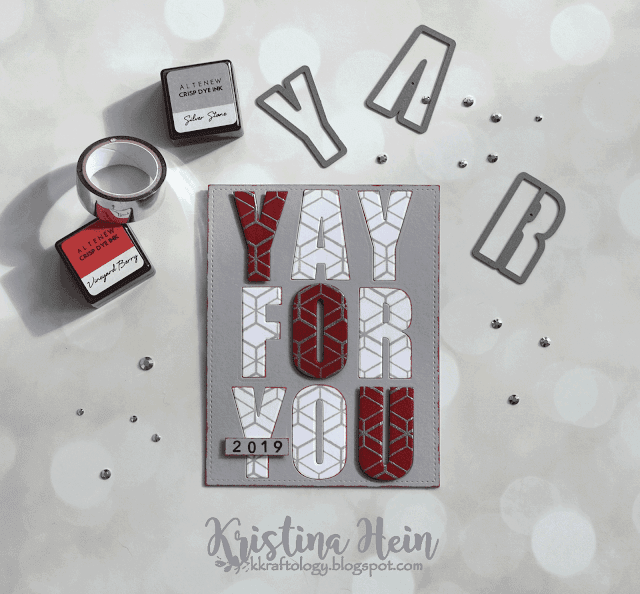 I am using the Caps Bold Alphabet die set for all of my letters. Even though I planned on using my magnetic base plate in my die cut machine, I still used a low tack tape to hold the dies in place. I need my placement to be just perfect. Here is my panel once I had all of the letters cut out. I put all of the gray letters away but kept out the center for the Os, the A and the R. I'll need them once I start putting it all together. 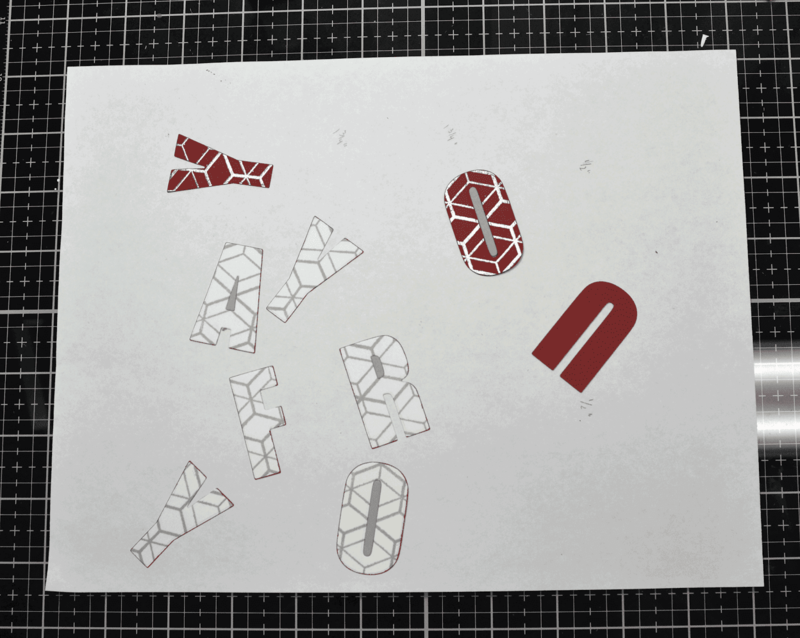 Now, I needed the pieces to fill the die spots. For this I'll be using some white card stock and burgundy card stock. Both of these were cut to A2 size. 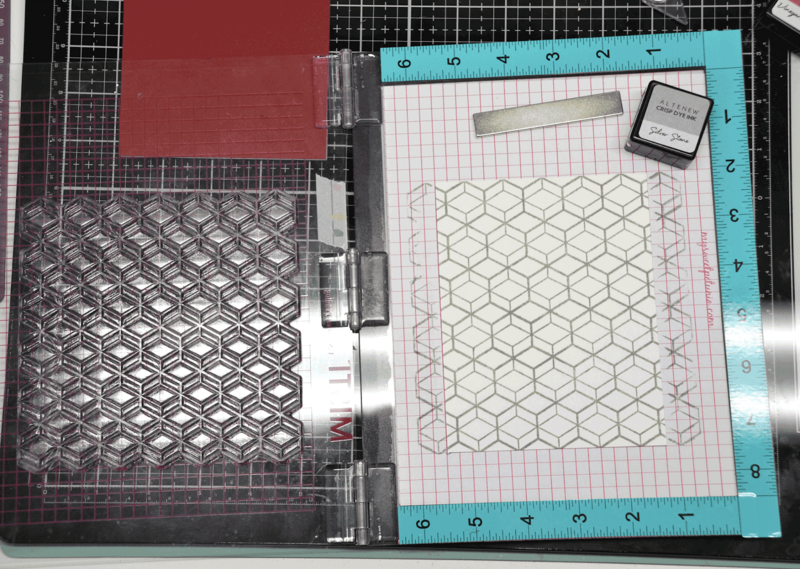 I laid the Pattern Play - Hexagon stamp on top of my card stock I had in my Misti. Then I closed the door to pick up the stamp. Next I inked it up with Altenew Silver Stone gray ink. I stamped it a total of three times to make a nice and crisp image. 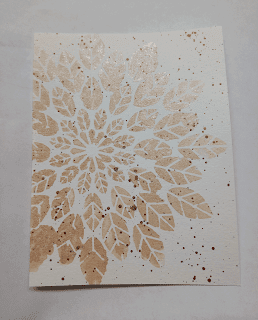 Next I used some anti-static powder all over the burgundy card stock. Then I put it into the Misti. I did use a bit of temporary adhesive on the back of the card stock to hold it in place while I worked. Here is where I am incorporating another component from a class. This one comes from Let it Shine. 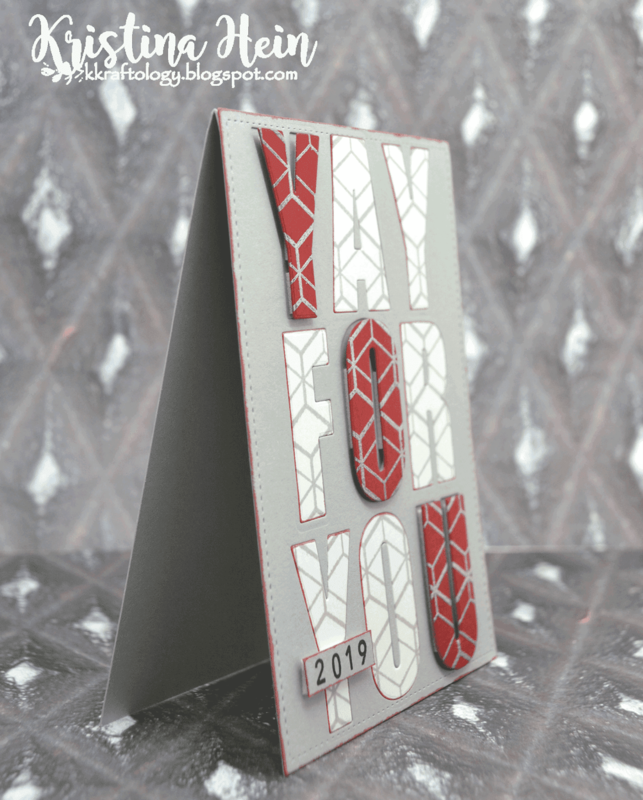 It showed how you can add a bit of extra shine to a card pretty easily by using metallic embossing powders. I inked up the Pattern Play -Hexagon stamp with the sticky Versamark ink this time. 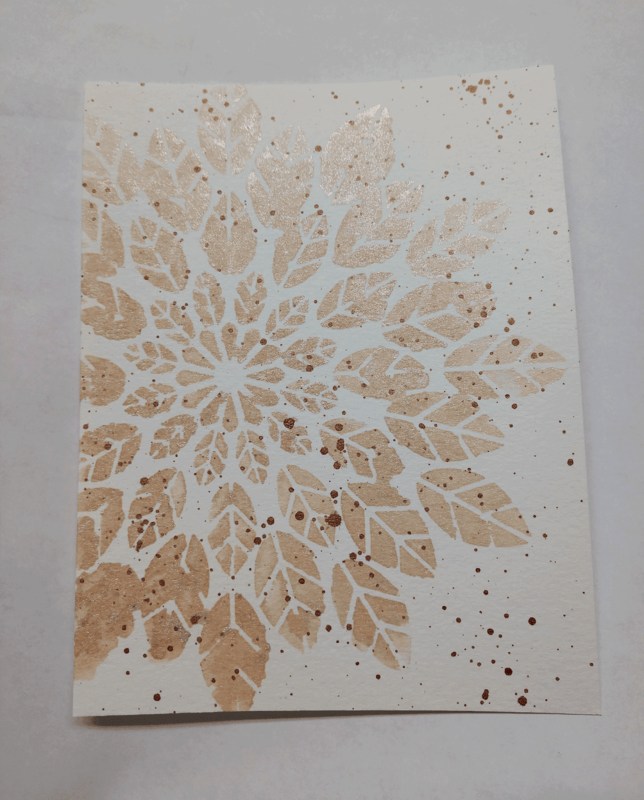 I removed the card stock from my Misti and held it over a large coffee filter. 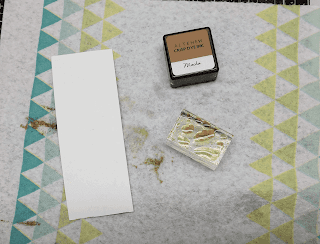 Then I liberally sprinkled silver embossing powder over it until I had it completely covered. 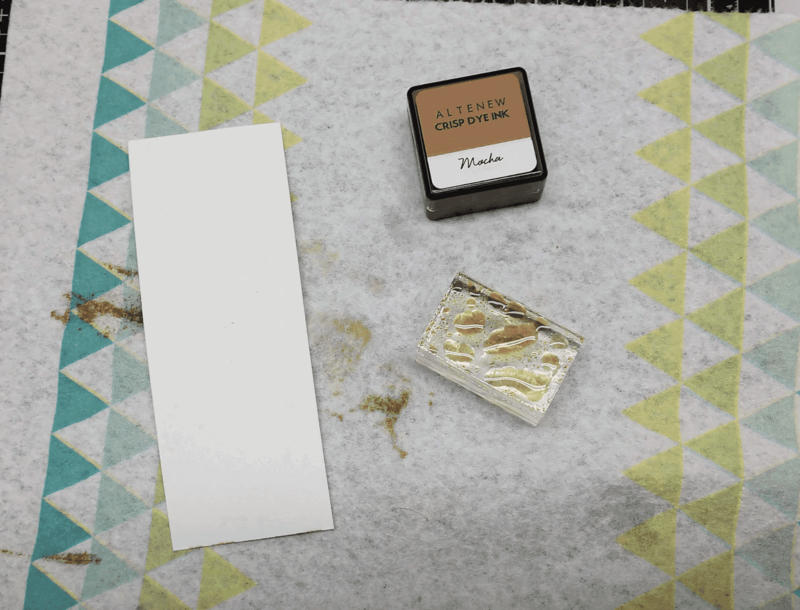 Tip-using a large coffee filter to catch your embossing powder makes it really easy to put the powder back in the jar. Not to mention you can use it over and over again! I let my heat gun warm up for a few minutes so I could melt the powder with a minimum of heat. This helps to protect your card stock from warping. Now I had my two panels ready to die cut my letters out of. I didn't need to worry as much about spacing but I was very careful to keep them lined up. 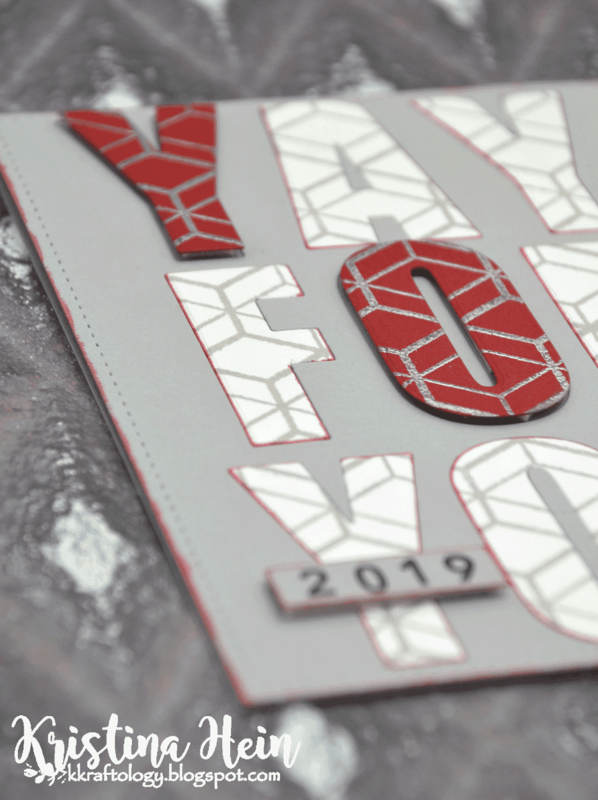 I wanted the stamped patterns to line up as much as possible once I put them in the gray card base. Now it was time to incorporate my third component. This one comes from the Irresitible Inking class. 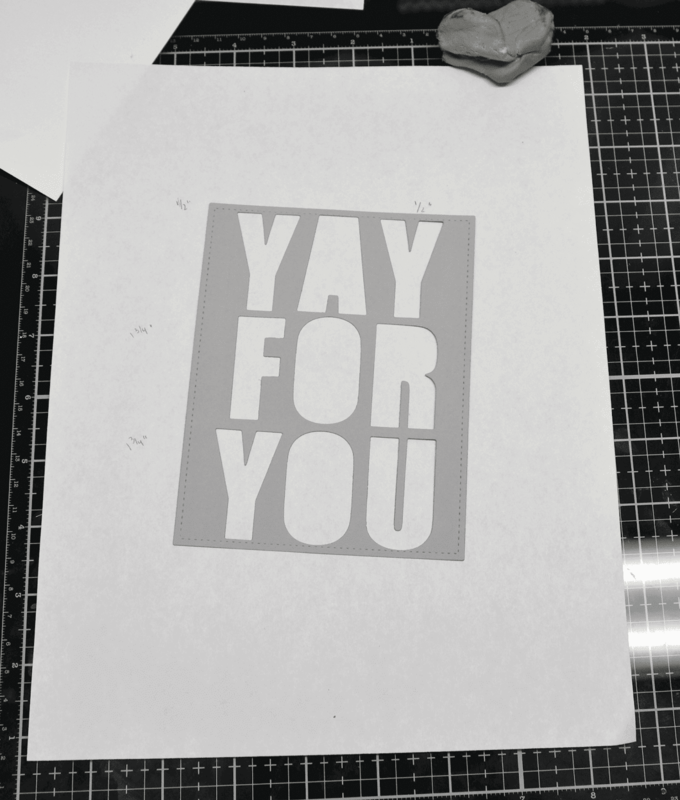 Direct to paper inking or stamping. It has been around a really long time but I admit that I forget to use it! It really is easy to do AND adds a bit something extra. In my case, it also helps my letters to pop out from the base panel. I took my mini Vineyard Berry ink cube and rubbed on all the edges of the white letters. I also rubbed it a bit more generously on the original gray card panel. I love getting inky! You should probaby wash your hands before you move on - don't want to mess up your project! Here is the test run of putting the pieces into the panel. Now it's time to put it all together! Before I reveal the front, I wanted to show you the work I did on the backside of the panel. I used low tack tape to keep the letters in place. 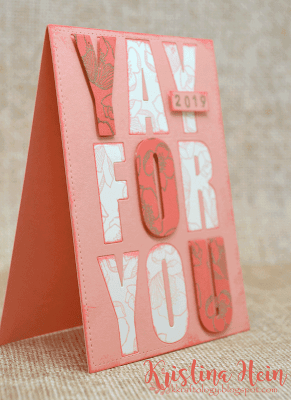 When I go to put it on a card base, the letters won't fall out! I also decided to add foam tape to the three burgundy letters as I really wanted them to stand out. Then I mounted the complete panel onto an A2, to fold gray card base. As I final touch, I stamped the numbers 2019 on a very small piece of gray card stock. 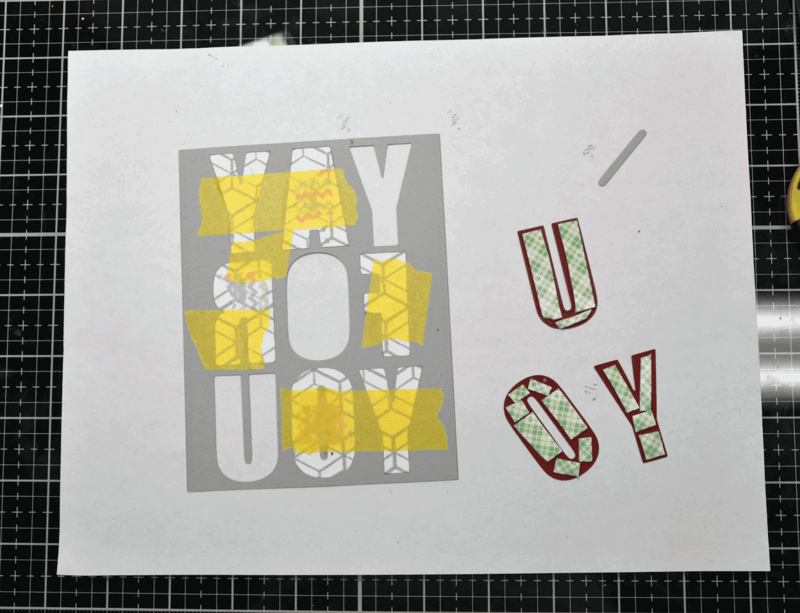 I went around the edges with the Vineyard Berry ink pad, added foam tape and put it on top of the Y. Here is the completed card! While I chose to make it a masculine graduation card, you could take of the year and easily turn it into a birthday card or an encouragment card! It was really had not to add any extra bling but I absolutely love how it all came together. 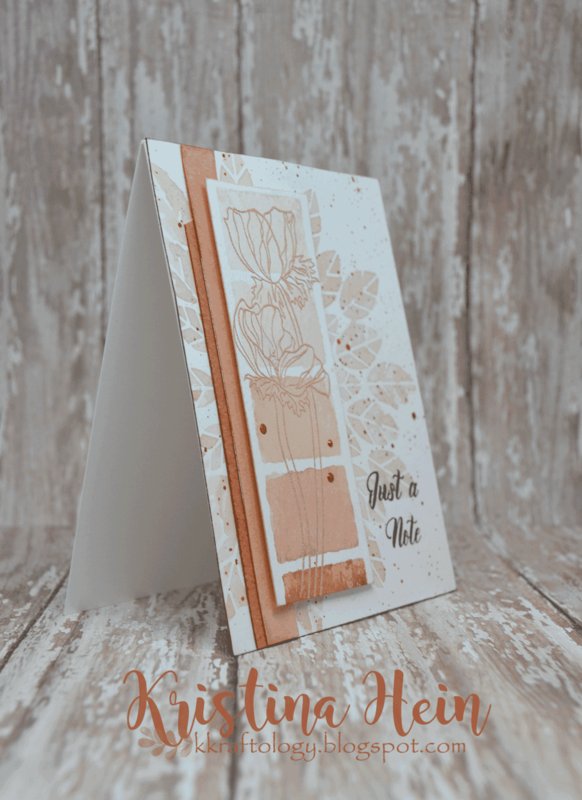 Now let's move on to card number two. I am going for a same but different vibe. Let's make a feminine version! This one went together a lot quicker. 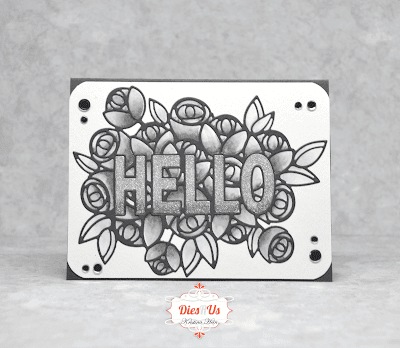 Before I put my gray card I used the panel with the open letters to trace the letters onto three other pieces of card stock. 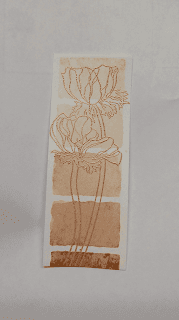 I chose light coral, dark coral and ivory. It made it super easy to line up my dies! 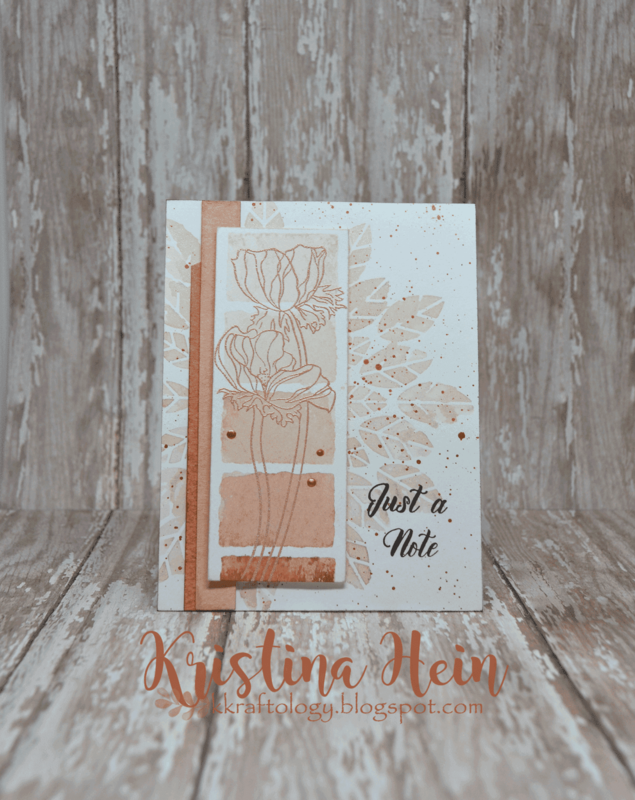 Plus it gave me an idea of the area I would need to cover with stamping for the letter dies I would be putting back in place of the light coral card stock. 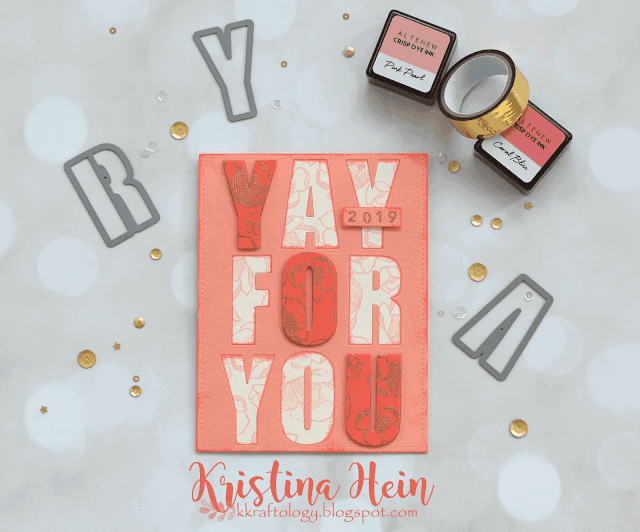 I picked three small stamps from the Adore You stamp set. 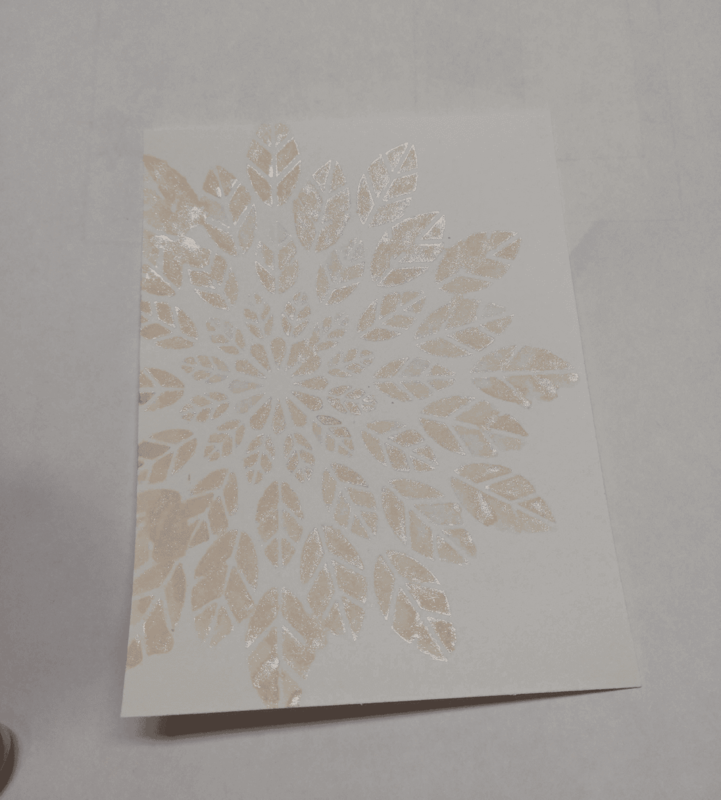 I randomly stamped a pattern on the ivory card stock using the Pink Pearl mini ink cube. 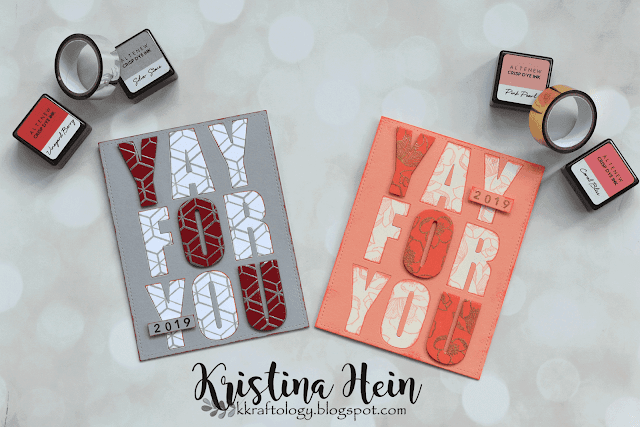 For the dark coral card stock, I randomly stamped the same three stamps but this time I used Versamark ink. I did apply anti-static powder before stamping. 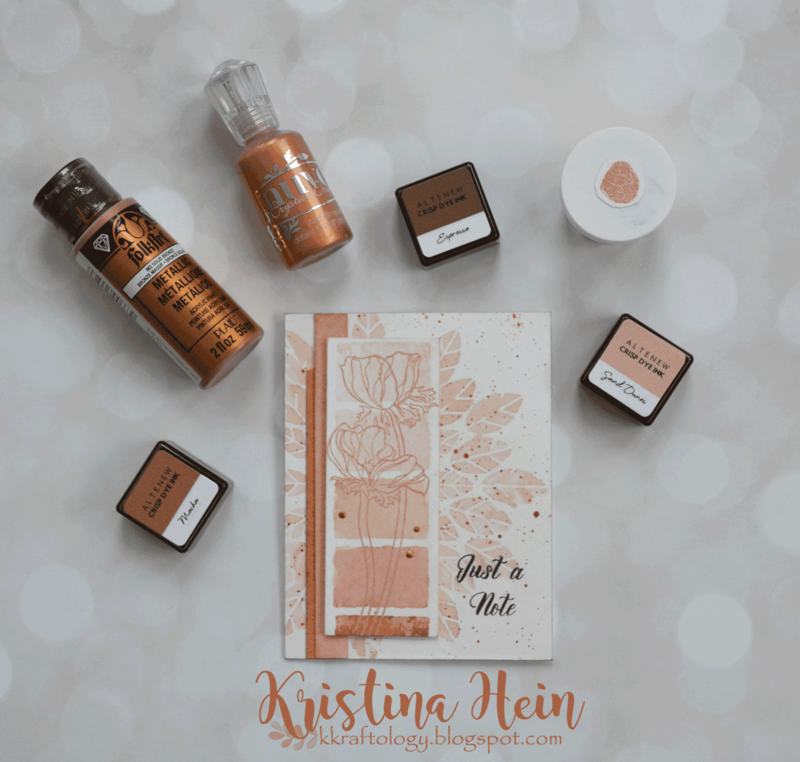 This time I chose to use a gold embossing powder. 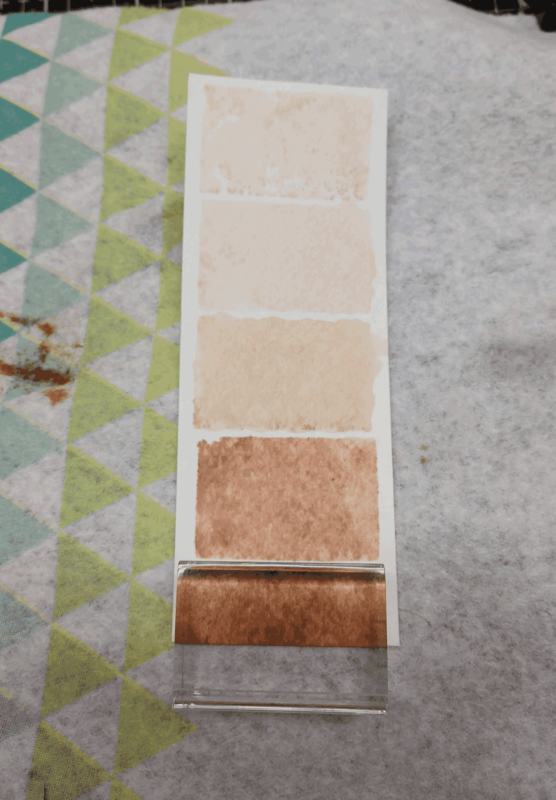 Again, don't forget to let your heat tool warm up to minimize the warping as you melt the powder. 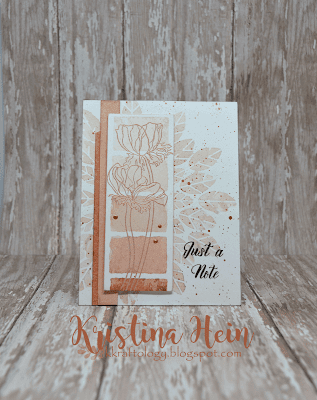 After that I went around the edges of the ivory letters and the light coral card stock with the Coral Bliss mini ink cube. Now to put all the pieces of this card together. I pretty much repeated the same process I used on the gray card. 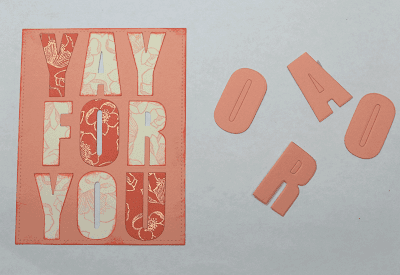 Put the ivory letters in place, put the light coral centers in place and tape them on the backside to hold them. Added foam tape to the dark coral letters. I then glued the panel onto and A2 sized, top folding, light coral card base. 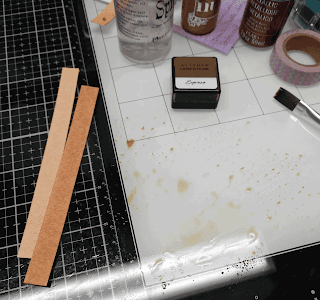 Then I peeled the backer off of the foam tape and carefully lined them up on the panel. Check out this beauty! Thanks for hanging in with me all the way to the end! Hi gang! 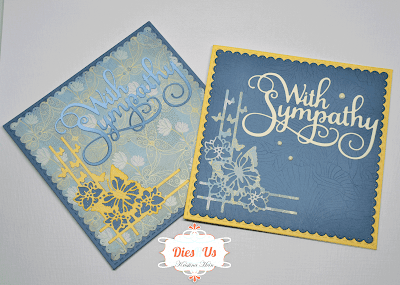 It's my turn over on the Dies R Us blog today. 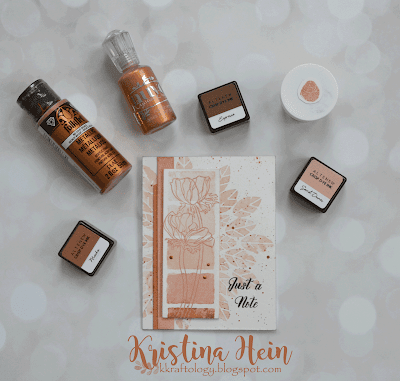 Come on over and check out all the details. 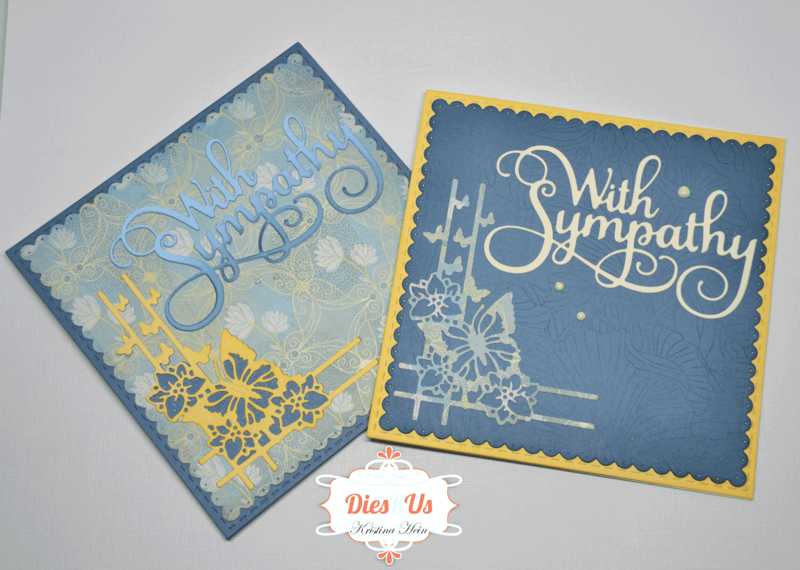 Two for one sympathy cards. You can find the post right HERE.